My name is Lucie Monroe and I’ve always been interested in healing. From the age of 12, when I discovered I had an uncommon amount of empathy, it’s been clear that helping others overcome their emotional and physical problems was going to be a life-long commitment. But my official foray into the healing arts started in 2004 when I trained in the French aromatherapeutic tradition. But my gifts really emerged when I discovered many of the new and exciting energy therapies in 2005. Through the practice of yoga, knowledge of different branches of tantra and attunement to Reiki, my identity as a wellness practitioner steadily began to take shape. Then in 2007, when I discovered EFT – or Emotional Freedom Technique – I felt compelled to share with the world the power of this healing procedure. With a well developed intuition, an understanding of subtle energies, and a mastery of the tool that is EFT, everything naturally and powerfully came together in my practice. In 2009 I went ahead and became an officially certified EFT practitioner in order to demonstrate the quality of my professional approach to healing. Later I added NLP and Matrix Reimprinting to my toolbox in 2011. In addition to a lifelong interest in the healing arts, I hold an engineering degree and a Master degree in Mineral Materials Science, striking that crucial balance between intellect and intuition, rational thinking and creative inspiration, hard work and vision. 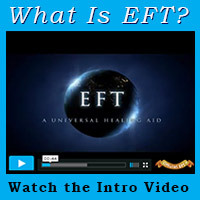 My clients and areas of expertise are as diverse as EFT itself. People from all walks of life come to me for problems as varied as weight loss, relationship issues, depression, phobias, insomnia, trauma, chronic conditions, etc. My style is unique and inspired both by my training as an EFT and Matrix Reimprinting practitioner, but also by my personal and professional experience in other healing arts. If you have any questions about my background or training, don’t hesitate to email me, or learn more about EFT. I look forward to being your catalyst for lasting healing.